This should have posted yesterday, but I’ve been distracted by a friend in need for the past few days, so I apologize for the delay. 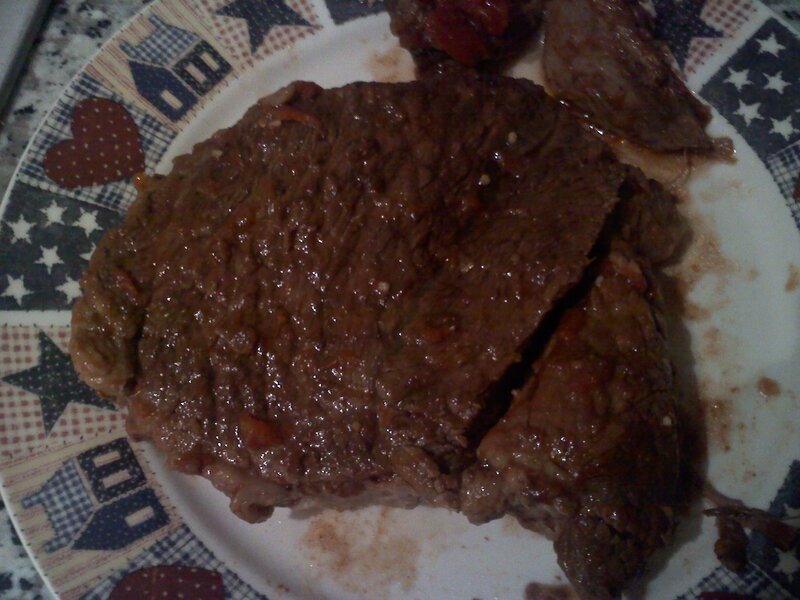 Both sides of my family have a Swiss Steak recipe and one is COMPLETELY different from the other, so I’m going to share both with you. You get one today, and one next Friday (if I can get Umi to write the damn thing down for me or dictate…whatever). 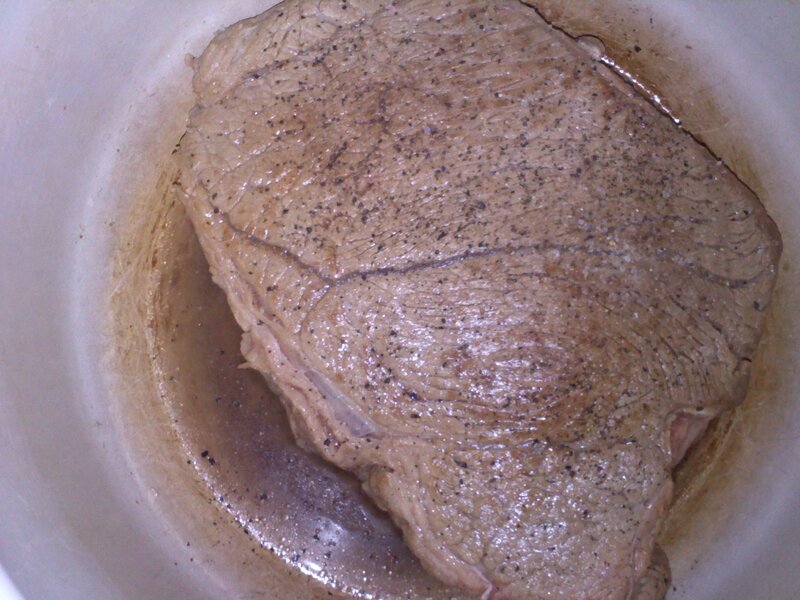 After searing* and seasoning the roast beast with salt and pepper, put it in a Dutch oven (or slow cooker/crock pot). 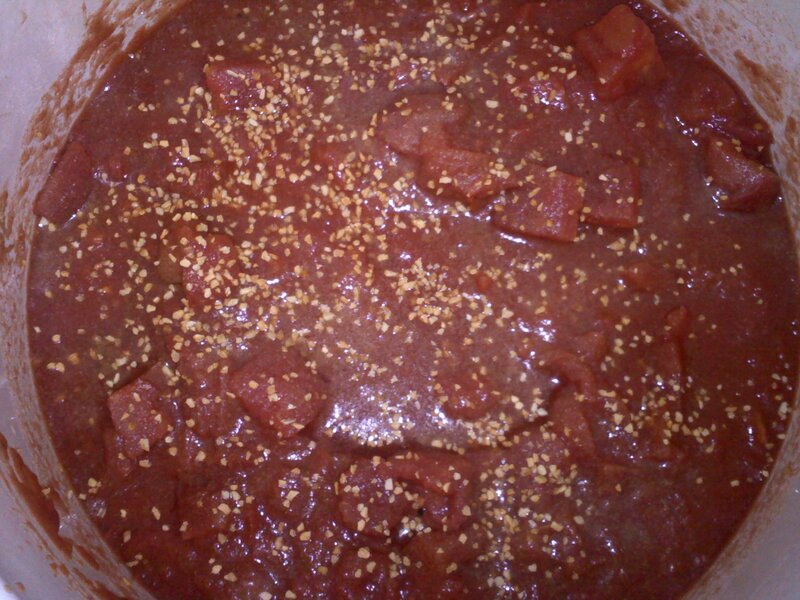 Add the tomatoes, onions, carrots, and celery (each are optional – I don’t like cooked carrots), and add desired spices. Cover and simmer for about an hour or so until beef is tender. Check seasoning and add more salt and pepper if so desired. Experiment with other seasonings as well. 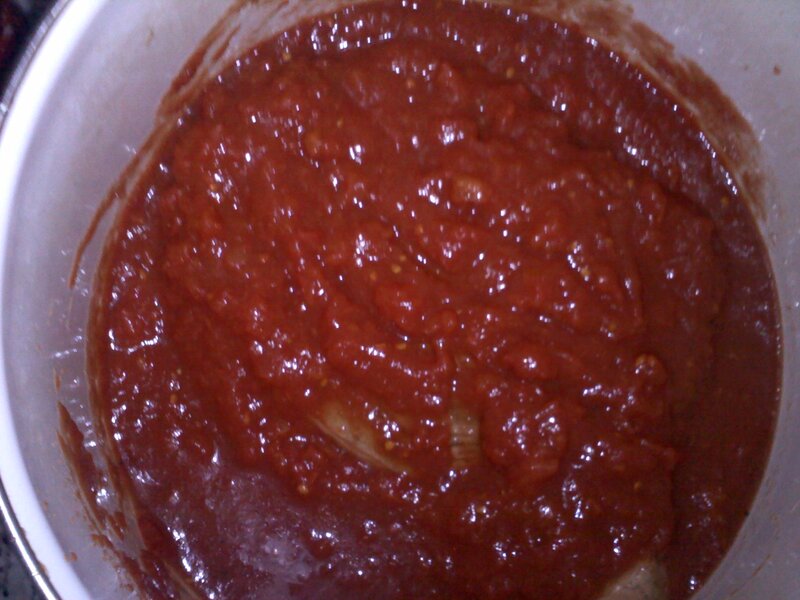 I added garlic powder and Italian seasonings this time around. Next time, I’ll likely experiment with a few others. Now, the timing is based on using a Dutch oven. 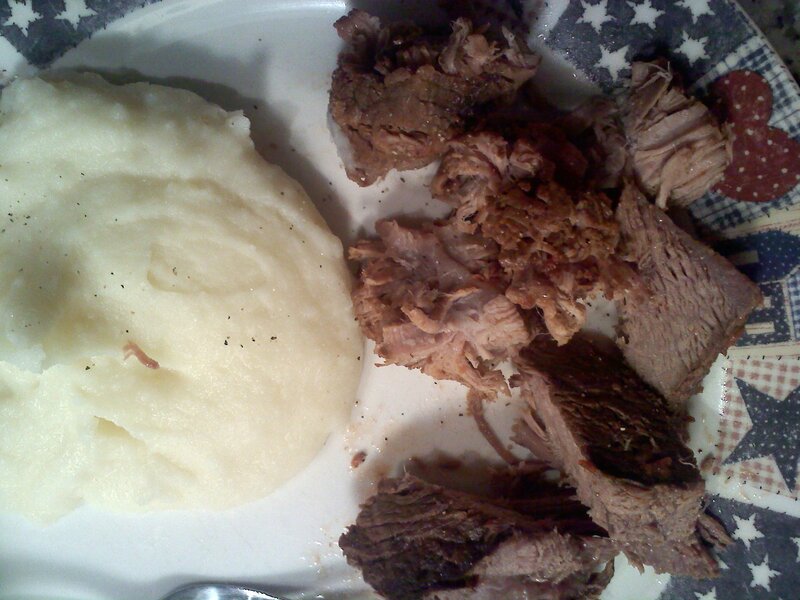 I used a slow cooker (or crock pot) and cooked it over several hours on a low setting while I slept all day. If you have a lot of experience using a crock pot, you’ll know what setting to cook it and for how long. Instead of using diced celery and onion, I used celery salt and onion powder. Also, when I use salt and pepper, I use the kind you have to grind. Sea salt is much better than regular salt. My g-ma Rainie always served this dish over mashed potatoes. It’s quite tasty! I have it next to the mashed potatoes. * Don’t know what “searing” is? 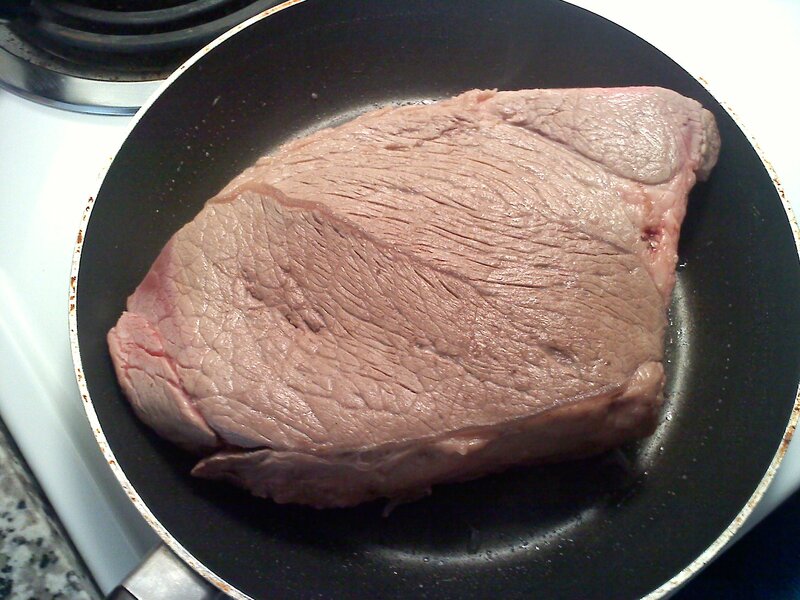 What I’m telling you to do there is brown all sides of the roast before placing it in the Dutch oven or crock pot.